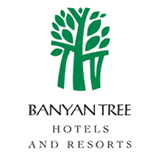 Banyan Tree is running special promotions for two of their properties, Phuket & Laos. In case if you're planning to travel to those areas, I'd recommend checking out their promotions (the offers are quite good). - search for "Maison Souvannaphoum Hotel", "angsana laos", "angsana resort laos" for Laos promotion and "banyan tree phuket special offers", "laguna phuket hotels" or "phuket thailand villa".